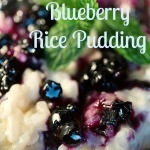 Minute® Rice Blueberry Rice Pudding helps relieve holiday stress! When Minute® Rice asked to write this sponsored post and share two of my labor saving holiday recipes with you, I was so glad for the opportunity. I LOOOOOOVE Christmas!!!!! 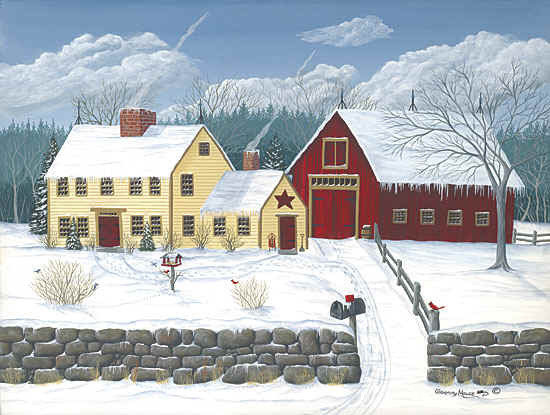 I love the colors, the smells, the decorations, the happiness, and of course, the presents! But it’s a lot of work. So much preparation goes into that one day and I’ve done a lot of Christmases by this stage in my life so you’d think that I would have a real handle on it. I should have it down to a science but every year its a mad frenzied rush to the finish line. And along with all the planning, decorating, shopping, baking, and wrapping, I still have a house to clean, laundry to do, and meals to cook. 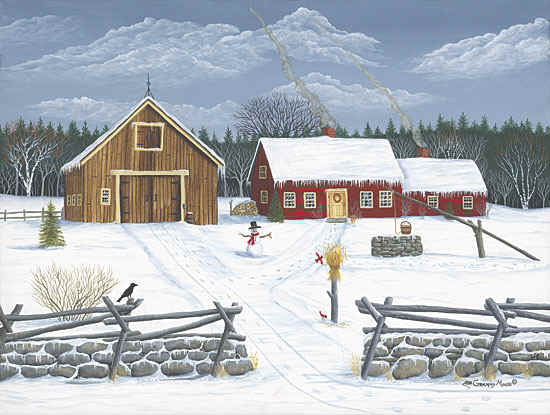 We are definitely having a White Christmas here in the North Maine Woods. 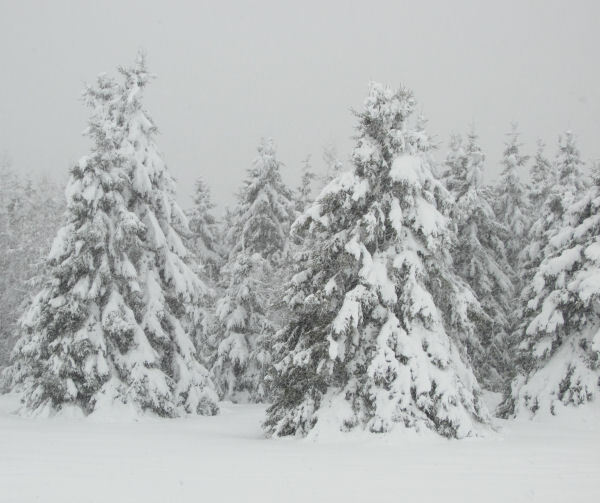 These trees are along the edge of our lawn at the edge of the forest. Beyond those trees is a spectacular view of Mount Katahdin when the weather is good. This time of year, I go for meals that are quick and yummy! And hubby Bill does not feel any meal is complete unless he has dessert, or as he call it – “a goody”. Yesterday was a busy final shopping day and as I was trying to throw a meal together at the last minute, I realized I didn’t have a plan for a dessert. I didn’t think he would opt for a Popsicle from the frost-covered dilapidated box in the back of the freezer so I had to come up with something quick and easy. The light-bulb clicked on when I remembered that next to the box of Popsicles was a bag of frozen Maine blueberries that we had picked last summer. And we always have Minute® Rice on the pantry shelf. The whole family loves rice and Minute® Rice makes rice quick and easy. It’s such a reliable product – it always turns out fluffy and good! It is a staple in my pantry. 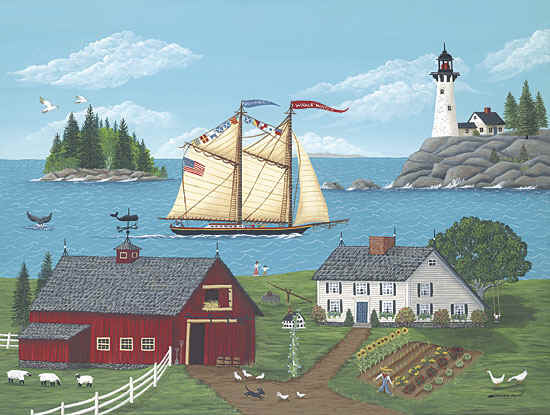 Now I had a plan – Rice Pudding enhanced with Maine Blueberries. The ingredients are so basic that I had everything I needed. Its been a dreary and snowy winter this year, with over a foot of snow on the ground so the blueberries will bring back some warm summer memories of roaming the coastal blueberry barrens while picking them. The forest was encrusted with jewel like ice diamonds this morning! So beautiful! I love it when there’s snow for Christmas. 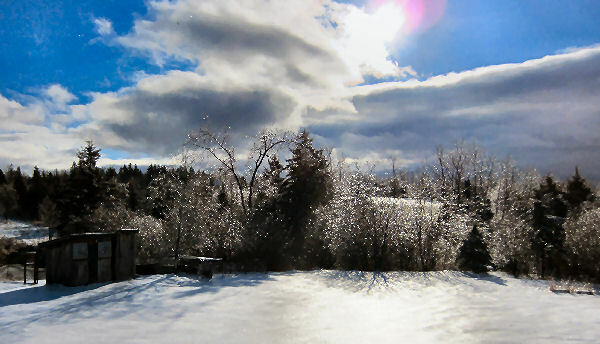 This year we have had so many ice storms the snow and ice are clinging to the trees, Nature’s own decorations. 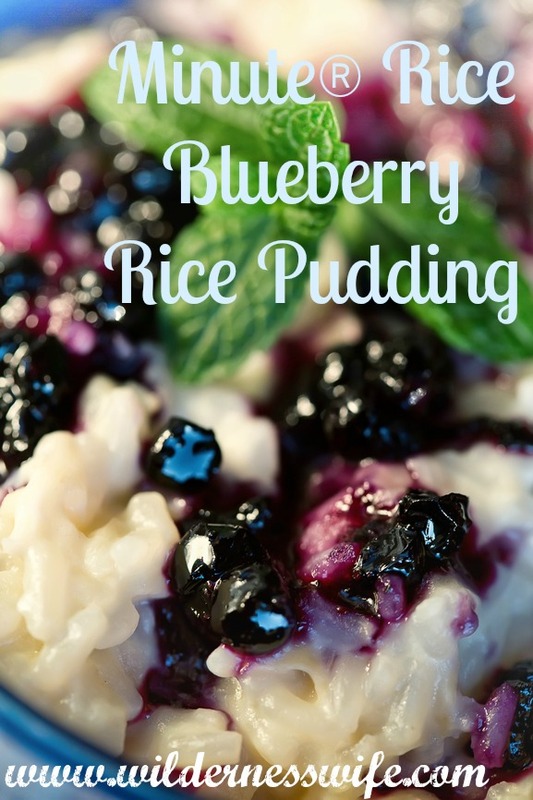 This Minute® Rice Blueberry Rice Pudding adds a little bit of summer warmth to our cold and chilly winter days. My Nana always made rice pudding when I was a kid. I learned from her that you could have a basic rice pudding recipe and then add different ingredients and flavors to change it up. I’ll share two versions with you today – Blueberry and a very basic Cinnamon version with a holiday twist. First, some helpful hints for the blueberry rice pudding. If you are using frozen blueberries, step one is to get the blueberries thawed so I put them in a small colander and run cold water over them for a minute or two and then set the colander aside so the blueberries can drain. You don’t want to add them till the very end as they will color the pudding to a light purple. The completed dish is much prettier with the contrast between the rice and the berries. After the berries have completely drained, put them in a small bowl and add 1/4 cup of sugar. Toss gently and set aside. It felt good bringing a little bit of summer into the dreary shortest days of winter by adding blueberries we had picked this past summer and froze, to our rice pudding. If using frozen blueberries, thaw and drain thoroughly. Place in small bowl, add 1/4 c. sugar and toss gently to coat. Combine milk, rice, 1/2 c. sugar and salt in medium saucepan. While stirring constantly, bring the mixture to a boil and then reduce heat to low. Let simmer 6 minutes. Be sure to stir occasionally to help sugar dissolve and keep things from scorching on the pan. You need to keep a close eye on this. Place eggs in a medium bowl. Add vanilla to eggs and beat gently to mix thoroughly. Now add this new mixture to the balance of the rice/milk mixture. Do this very slowly, constantly stirring, so that the eggs do not “scramble”. Cook on low heat for 2 minutes. Remove from heat and let stand for 15 minutes. Now you can spoon the rice pudding into individual serving bowls. Garnish with the blueberry mixture alternating spoonfuls. 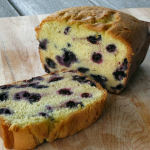 Let cool to room temperature then refrigerate if you are not going to eat right away. The “star-studded” Christmas version is an easy, basic rice pudding recipe. Just make 6 star-shaped templates out of parchment paper to place on the top of the pudding before you dust with the cinnamon sugar mixture. Peel off the stars and you are left with a very pretty holiday dessert. The addition of dried cranberries in the place of the usual raisins gives the pudding a festive holiday touch. This is a simple recipe that’s quick and easy to make but adds a holiday flair to make it special and festive. 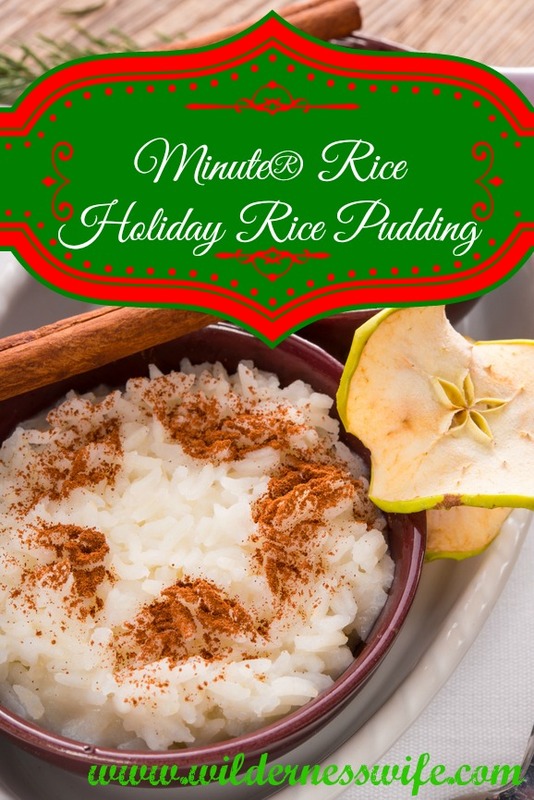 Decorative and festive, this Minute® Rice Pudding is easy and quick to make. Combine milk, rice, 1/2 sugar, dried cranberries, and salt in medium saucepan. While stirring constantly, bring the mixture to a boil and then reduce heat to low. Let simmer 6 minutes. Be sure to stir occasionally to help sugar dissolve and keep things from scorching on the pan. You need to keep a close eye on this. Now you can spoon the rice pudding into individual serving bowls. For a decorative touch, cut out 6 stars from parchment paper and lay one on top of each individual serving. Mix 1/4 cup sugar, cinnamon and nutmeg. 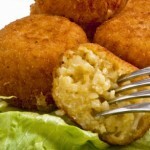 Lemon Rice Croquettes -The French Way to Use Leftovers!